This past month marks a change in the way I view myself. For years, I thought trich had bested me and I was weak because I did not have the will to fight with the level of intensity needed. Now I have renewed faith in myself. I decided to give this my all after recently losing my teaching job in June. I thought I could fight this as I finally had more time and energy to devote to my recovery process. In addition, I assumed my life would be less stressful as I was not trying to juggle a demanding teaching position with all of my other responsibilities as a mother of 3. I have been proud of my progress and hoped I would be able to sustain this level of devotion when I return to the stressful rat race. The funny thing about life is that you can’t outrun it. Life happens. There is never a dull moment. You are never free from stress, it just changes forms. 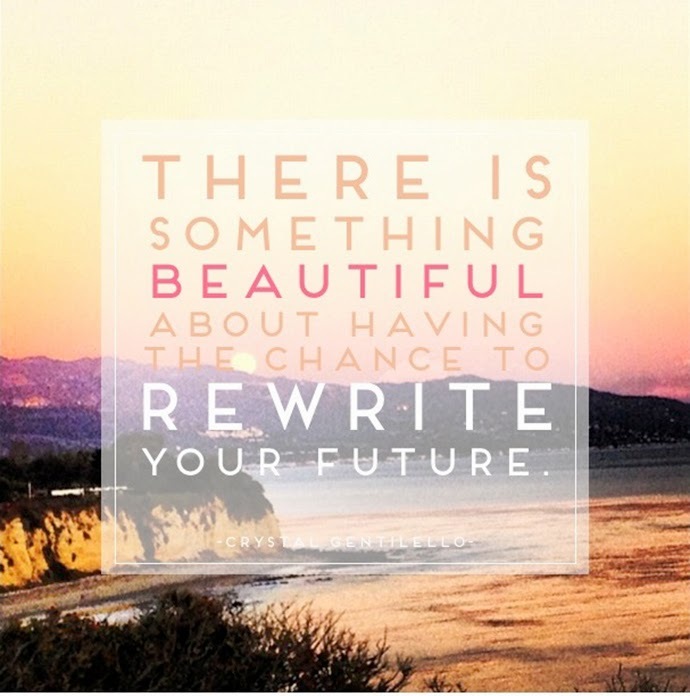 There is always something you could ruminate on- if you allow yourself to go down that path. This week, my life took a definite turn for the unexpected, but I refuse to be paralyzed by stress. If I could credit one thing with my success over trich this month, it is my mindset. I will not be squelched. 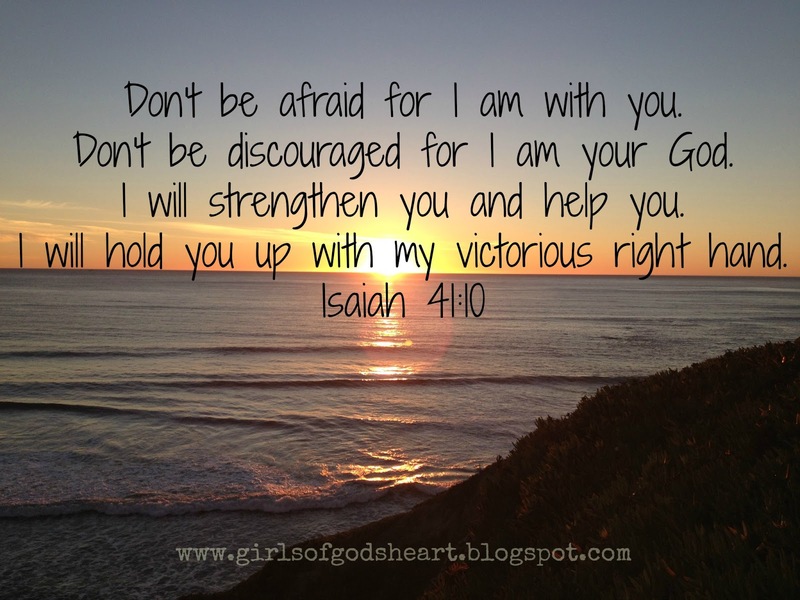 Instead, I choose to give my fears to God and ask for His continued strength to help me push on. With Him, I can do anything. It has been one month since I began this blog. My goal was to have more good days than bad days in regards to my pulling. I used Claudia Mile’s recommendation to rate my pulling from 0-10 each day. The rubric I created to rate my pulling is below. I defined good days this month as 0-3. I have been pull free on my scalp for the entire months and have accomplished my goal of more good days than bad. Both tryptophan and 5 HTP are amino acids and precursors of serotonin. They are also both available as over-the-counter dietary supplements for treating depression, obesity, sleep disorders etc. Find out which of the 2 is the better supplement for increasing serotonin levels in the brain. 2 What is 5 HTP? Tryptophan is one of the essential amino acids commonly found in human diet. It is available in 2 forms: D- and L- isomers. The L- isomer is more common and it is the form of tryptophan found in proteins in the body. Tryptophan is found in most dietary proteins but it is especially abundantly found in meat, poultry, milk, yogurt, egg, fish, banana and peanut. While some believe that turkey is the richest source of tryptophan and plants are poor in the amino acid, both beliefs are untrue: turkey contains no more tryptophan than other poultry and meat, and excellent plant sources of tryptophan are abundant. Even though there are several dietary sources of L-tryptophan, different studies have found that these food sources cannot dramatically increase the blood levels of the amino acid. Therefore, tryptophan is widely sold as a dietary supplement and even drug. As a drug/supplement, L-tryptophan is used because it is a precursor of serotonin, an important neurotransmitter in the brain. L-tryptophan is first converted to 5-hydroxytryptophan or 5 HTP (another dietary supplement) which is then converted to serotonin or 5 HT in the brain. However, these biochemical reactions happen in the brain, therefore, tryptophan has to cross the blood-brain barrier. L-tryptophan only represent about 1% of the amino acids available in dietary proteins. Since the other amino acids also want to get into the brain, there is a competition for the transport mechanisms that carry them across this blood-brain barrier. For example, L-tryptophan shares the same transport mechanism with valine, leucine and isoleucine. Therefore, the extent of absorption of this amino acid is much reduced especially from protein-rich foods. To improve the uptake of tryptophan into the brain, carbohydrates are required. After the ingestion of carbohydrates, the body releases insulin in response. Fortunately, insulin drives valine, leucine and isoleucine (but not tryptophan) into the cells of the body. Therefore, the proportion of tryptophan among the amino acids left in the blood is increased and this increases the chances of tryptophan crossing into the brain. The use of tryptophan as a dietary supplement was banned for most of the 1990s. This is because of cases of eosinophilia-myalgia syndrome (EMS) associated with the amino acid. This syndrome was blamed on bacterial contaminants left in the final product by one major supplier of the amino acid. This was never conclusively proven and some other experts believe that the large doses of tryptophan taken are responsible (tryptophan metabolites block the breakdown of histamine and the symptoms of EMS resembles the effect of prolonged action of histamine). However, tryptophan is now commonly sold as dietary supplement and drug. It is obtained from high-quality sources and regarded as safe. 5 HTP is a naturally occurring amino acid produced from L-tryptophan. There are no dietary sources of 5 HTP although the 5 HTP used in supplements is obtained from the seeds of Griffonia simplicifolia, a plant native to Africa. 5 HTP is a direct precursor of serotonin and an intermediate in the synthesis of melatonin, a neurohormone. The conversion of 5 HTP to serotonin is catalyzed by 5 HTP decarboxylase, an enzyme whose cofactor is vitamin B6. All the effects of 5 HTP are solely due to its ability to increase serotonin levels in the brain. However, 5 HTP is also converted to serotonin in the liver. In fact, more serotonin is produced outside the brain than inside. But since serotonin cannot cross the blood-brain barrier, only the amount of 5 HTP crossing into the brain can increase the level of serotonin in the central nervous system and also the psychoactive effect of the neurotransmitter. The serotonin produced outside the brain is released from the enterochromaffin cells found in the gastrointestinal tract. In the gut, serotonin promotes intestinal motility. The excess serotonin released from these cells are removed by the veins draining the gut. While in the blood, serotonin is carried through the circulatory system and stored in platelets. Therefore, the serotonin produced from 5 HTP can reach the cardiovascular and musculoskeletal systems. 5 HTP is commonly sold as a dietary supplement and marketed as a sleeping aid, antidepressant and appetite suppressant. It is usually prepared in 50 mg and 100 mg capsules. Besides the uses listed above, 5 HTP is also taken to treat fibromyalgia and anxiety disorders. Although 5 HTP supplementation has not been extensively studied in large clinical trials but in the 60 years that it has been used, there are only very few reports of serious side effects. Moderate doses of 5 HTP is safe and well tolerated but it may cause vomiting and diarrhea. These gastrointestinal side effects are due to the increased production of serotonin outside the body. When released from the enterochromaffin cells, the increased serotonin levels increase gastrointestinal movement. 5 HTP supplements were also believed to cause EMS due to contamination during production. However, such cases have not been reported since FDA’s GMP (Good Manufacturing Practice) regulations came into place. Although tryptophan and 5 HTP are both amino acids and used as dietary supplements for the same indications, they do differ. The major differences between these 2 precursors of serotonin are discussed in the table below. Precursor: 5 HTP is the direct precursor of serotonin and an intermediate in the synthesis of melatonin while tryptophan is the direct precursor of 5 HTP. In addition, tryptophan is also used in the syntheses of other biochemicals including niacin, proteins and enzymes. Source: The L-tryptophan used in dietary supplements is obtained from the bacterial fermentation of serine and indole. 5 HTP is extracted from the seeds of Griffonia simplicifolia, a wild plant native to Ghana and Ivory Coast. Uses: Both 5 HTP and tryptophan are used to treat diseases arising from serotonin deficiency including depression, anxiety disorders, sleep disorders and obesity. However, L-tryptophan is also used to treat tryptophan deficiency since it is the one among other essential amino acids that is most commonly deficient in diet. Administration: Because nausea is a common symptom of 5 HTP supplementation, it should be taken with food. Tryptophan, on the other hand, can be taken with or without food. However, since tryptophan competes with other aromatic and branched chain amino acids such as itself, it is best to take the supplement with low or no protein diet but with carbohydrates to help reduce the competition. 5 HTP is a better supplement than L-tryptophan for increasing serotonin levels in the central nervous system because of the following reasons. Because 5 HTP and tryptophan increase the level of serotonin in the body, some people may be tempted to use both supplements at the same time. This practice should be discouraged especially since it can dramatically increase the side effects of both drugs and cause serotonin toxicity. Mild gastrointestinal side effects such as nausea, vomiting and diarrhea are immediately triggered. Of the two, serotonin syndrome appears first. It is characterized by the mild and serious symptoms. Mild symptoms include shivering, sweating, tremor, restless limbs and headache while serious symptoms include hypertension, hyperthermia, mania, hallucination and ataxia. These symptoms will subside 24 hours after stopping both supplements but the more serious symptoms may need urgent medical attention. Cardiac fibrosis is caused by high doses and prolonged use of drug combinations that increase serotonin levels. In the circulatory and cardiovascular systems, serotonin acts as a vasoconstrictor and healing factor. It repairs damaged tissue by promoting the production of fibrins to cover the site of damage. However, the kind of connective tissue caused by serotonin action is thicker and less flexible than normal connective tissue. This causes cardiac fibrosis and heart failure from thickened right heart valve. Although these serious side effects of 5 HTP and tryptophan combination are rarely in medical literature that is mainly due to lack of large-scale and thorough clinical studies on the use of this dietary supplements. Therefore, the potential for these side effects should be considered when 5 HTP is combined with tryptophan. NAC is an Amino Acid supplement, (AKA: N-Acetylcysteine). Supplementation boosts Glutathione levels and Glutathione is an extremely important antioxidant! Cellular glutathione is the backbone of our antioxidant system and plays a crucial role in DNA Methylation. NAC works by increasing your cellular ability to detoxify. You can help this process along by decreasing your exposure to toxic foods and chemicals. Also, keep in mind that NAC is only one amino acid used in Amino Acid Protocols. It can be used more effectively if combined with other amino acids and nutrients. (NAC is not the only way to boost Glutathione. There are alternative methods for those who are pregnant/breast feeding or children that are too young for AA Protocols/NAC. You can boost Glutathione levels and regulate Methylation most effectively through diet change. Read Action Steps: http://kickthetrich.blogspot.com/2010/11/action-steps-to-overcoming-sensory.html and Contact Be Well, www.bewellnsb.com if you have questions). Recent research from the Department of Psychiatry, University of Minnesota School of Medicine regarding NAC and Glutathione click here: http://www.ncbi.nlm.nih.gov/pubmed/19581567. If you have tried NAC before and did not experience any relief, the most common reasons for this are the following: (You should minimize this problem by using NAC or equivalent protocol under the supervision of a professional.) 1.) Remember that NAC is most effective when combined with other Amino Acids and Nutrients. 2.) Remember that it can take up to one month of consistent use for you to notice relief. (Could take up to two months if you are working against yourself and dosage may need to be increased.) 3.) Effective dose is usually between 500 – 1500 mg three times per day. I talk at length about Amino Acid Therapy Protocols in my Support Group and I do believe NAC and other Amino Acids to be very effective but I do not write much about AA Therapy protocols because I do not believe you should prescribe one to yourself. That said, most sources suggest that the effective dose for Amino Acids, like NAC, should start at 100mg three times per day and should be increased from there. Most people respond to daily doses of 500mg-1500mg three times per day. When taking NAC alone, it could take up to a month (two max depending on your “cellular state”) to notice the full effects. Amino acids are most effective when taken with water on an empty stomach, especially the larger amino acids. More info here about AA Therapy protocols, Chapter 4 of this book http://www.scribd.com/doc/56428903/Clean-and-Sober-Full-Text (free read). Recent studies indicate that higher amounts of whey protein offers major benefits to health! Research supports whey protein as a complete way to boost Glutathione levels “long term”. I drink a whey protein based shake every morning that contains a mix of Amino Acids (including cysteine, the C in NAC) and whole food nutrients that is designed to maximize Glutathione levels. (watch video and click here for more info http://www.bewellnsb.com/index.php?option=com_content&view=article&id=86&Itemid=99). If this is not possible find a Counselor/Therapist that specilizes in Cognitive Behavioral Therapy and combines therapy with an Amino Acid based detoxification program. (I like this protocol and it is widely available https://www.bewellnsb.com/DFH28DayDetox.pdf ask the expert about possibly adding a product from the same company called CraveArrest, Inositol, and possibly additional NAC if needed.) Knowing what I know now, this is exactly where I would have started. This approach will bring you significant relief and if you make what you learn during the program a permanent part of your life, you could experience complete resolution. [You might say, “I pull because of the stress in my life… How could an antioxidant supplement like NAC help in my case? -Over time, the positive acute mobilization of immune cells in response to challenge is suppressed. It’s all connected!! Treat the whole body not just one aspect!! Watch the video below to learn the science behind why your cellular environment matters. Watch PBS’s, “Science Nova” on Epigenetics! Why is Trich (and other Impulse Control Problems) so Enjoyable? Inositol is a B-vit. and works by supporting all neurotransmitter activity in the brain. Effective dose of Inositol by itself has shown to be between 3 and 6 grams three times per day, (9 grams – 18 grams total in divided doses), which is a lot of inositol… Keep in mind when reading research that the point of research is to isolate the nutrient in question to see if it really has an effect on a particular condition. Unfortunately, this can result in extremely high doses; this is shown to be true in looking at both NAC and Inositol. In clinical settings, clinicians know that Nutrient Synergy is very important. When you combine nutrients like NAC and Inositol with other synergistic nutrients you can use less of any one particular substance. What is Lifestyle Based Chiropractic and how can it Help? 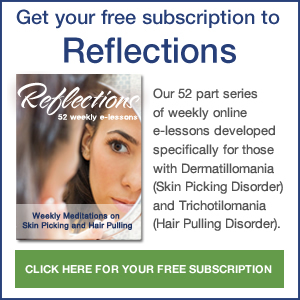 Kick The Trich: Overcoming Trichotillomania: Action Steps to Overcoming Trichotillomania & Impulse Control / Sensory Processing Disorders Naturally! The video discussed in the article above explains “Reward Defiency Syndrome” which is a general diagnosis term that includes Impulse Control Disorders such as Trichotillomania. Impulse Control is a “Primary Problem”; it’s a real genetic dysfunction in the brains reward system which results in difficulty balancing neurotransmitter levels especially Dopamine and Serotonin. This dysfunction can be initially activated or exacerbated by Environmental Stressors AKA “Epigenetic Triggers”. These Triggers can be chemical, physical, emotional or a combination of the three. Conversely, this dysfunction can be CONTROLLED by understanding how these stressors impact your health and by taking conscious control of your cellular environment! If you can find and afford to see a Doctor specializing in Functional Medicine or AT LEAST a Counselor/Therapist specializing in Cognitive Behavioral Therapy who combines therapy with an Amino Acid based detoxification program (including essential lifestyle changes), you will experience significant relief. Comprehensive Metabolic Profile-Here is an example of metabolic testing that would be very useful when following a Functional Medicine approach including CBT and Amino Acid based Detoxification. It is heartbreaking to see the frustration, anger, and depression that comes when someone gets done pulling their hair out, and they feel hopeless. It can destroy them emotionally because they see it as a reflection on who they are. Everything comes down to whether or not they had control over trich today. If they didn’t, they decide that they are worthless. This upsets me. We have gotten so far away from where our identity comes from, that this is where we end up. The bible is super specific. Our identity comes from the Lord. He directs our path. He breathes life into our lungs. He is the one that decides our destiny, gives us our spiritual gifts, and blesses us with good things. If our identity lies there, bald spots take a back seat. People’s opinions lose their power. Relapse is a temporary setback. Beauty comes from something Real. Relationship is no longer built on how much someone can feed my ego. Truth is set in stone. Intimacy is deep and satisfying. Fear is replaced by Unconditional Love. When we hear “Love your neighbor as yourself”, we usually concentrate on the concept of loving our neighbor. We put that in the front, and brush away the “as yourself” part. According to this scripture, loving our neighbor reflects how much we are able to love ourselves. If we hate ourselves, how much are we going to love our neighbor? Obviously, there is a strong importance in loving ourselves and how we were created. The enemy is continuously working to kill us off. If he can’t kill us, he will try to cripple us by stealing our very identity. By consuming us with what we are NOT, so that we forget who God created us to be. His goal is to make us so afraid of stepping into our position as Heir to the Throne, with all of the authority and power that comes with that. The enemy comes to kill, steal, and destroy. Bill Johnson from Bethel Church in Redding, CA says that the good thing is, the enemy tips his hand ALL THE TIME. He gets too big for his britches and reveals his plan. I have to put all of my time, energy, and focus into letting God define me. I need to soak up His words, change the things in me that aren’t from Him, and removing the things that grieve Him. Trichotillomania doesn’t grieve the heart of God. I’m not in the wrong here. I’m not dealing with a lack of faith. I’m not hiding a secret sin that is keeping me from healing. What grieves the heart of the Father is when His children place more importance and “truth” in men than in Him. It’s idolatry, plain and simple. I idolize man when I seek their opinion over God. THAT is what grieves the heart of God. I refuse to be accused of that. It is through God’s strength that I continue to fight trich.